We all need a little help getting through a long project sometimes. The afghan that’s been a WIP (work in progress) for three years; the scarf you started last summer that would currently only keep your daughter’s teddy bear warm. We all have them hiding in our house just waiting to become something great. At any given time I have between 5 and 10 WIP’s, some of which have been around for months…or even longer. I dream up a new project and leave the old ones in the dust. It happens to the best of us! So how to we stay motivated to finish a long project? I turned to my wonderful crowd on my Facebook page for a quick poll to find out what motivates you. The results are fascinating! It’s clear that each of us have our own methods of staying motivated. 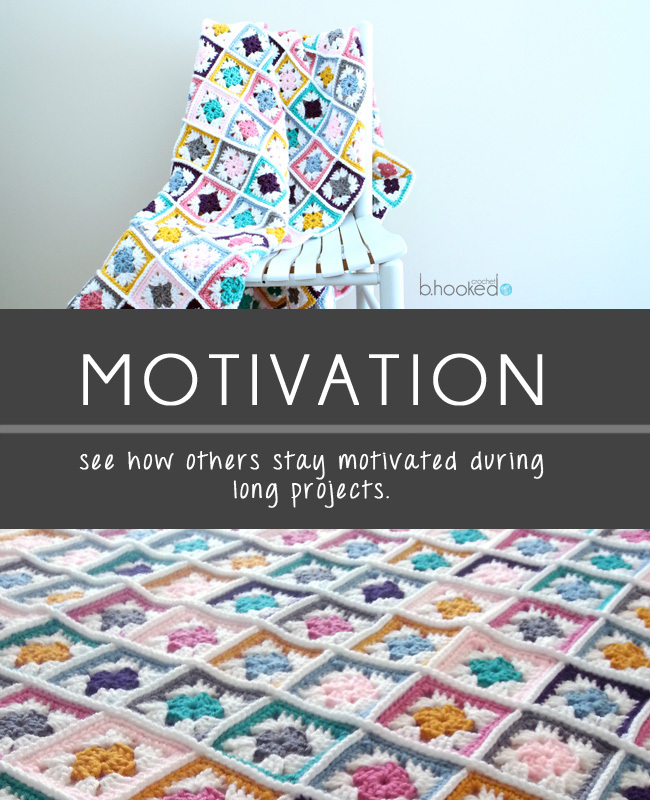 My hope for this post is to give you some ideas of how your fellow crocheters are dealing with motivation, that way you can find your own. Are there any other methods you use to stay motivated? Leave your comments below!